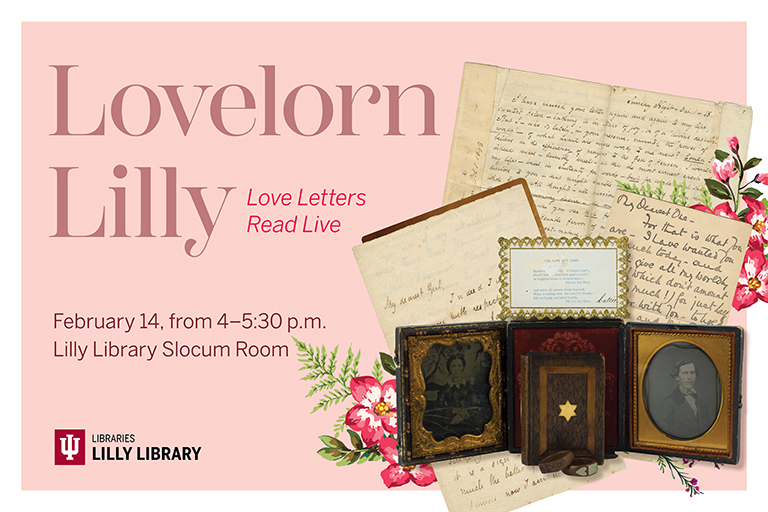 This Valentine’s Day, experience love letters drawn from the Lilly Library’s rich collections of literary and historical manuscripts with live readings from the IU Department of Theatre and Dance. Hear voices of the past address the beginning of love, illicit love, enduring love, and the end of love, with examples from Edgar Allan Poe, John Keats, Vita Sackville-West, and more. The original letters being read will be on display throughout the program. Light refreshments to follow. The IU Newsroom interviewed Maureen Maryanski to learn more about how love letters can inspire new ways of learning.